You want the kitchen in your home to be an inviting place, even if you and the family usually just huddle together around the microwave. If you enjoy cooking, then the kitchen becomes even more important. In addition to having room to create, you yearn for a contemporary kitchen. Any way you slice your bagel, sprucing up your kitchen makes sense. Fortunately, there are renovation ideas for everyone’s skill level. If you have a small budget and a modest skill level, you can update your kitchen’s look by using muscle and a few purchases. Adding a coat of paint to outdated cabinets gives them a fresh, modern look. You will need to remove the doors and the hardware and prepare them with 100-grit sandpaper. Afterward, experts recommend cleaning off the cabinets with a soft cloth and filling in gaps with caulk. Then you should use a primer, followed by a quality paint. 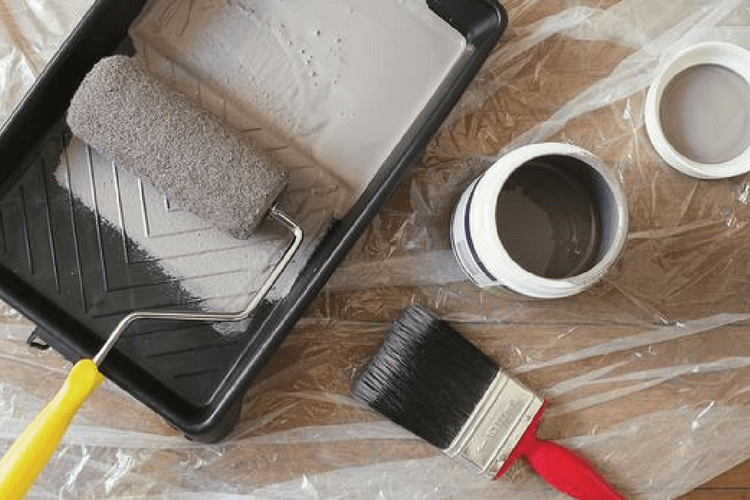 If you are uncertain about which paint will work best, consult with the paint department at your favorite home improvement store. As an added boost, consider replacing the hardware on the cabinets. The handles and hinges won’t cost you much, and installing them requires little more than a few good screwdrivers. You can even take a cabinet door with you to the store to help choose just the right pieces. Those with real renovation skills can tackle bigger jobs, like laying a new tile floor in the kitchen. Remember that this task requires more than just spreading some thinset and plopping down tile. You will need to prepare the old floor to give you a smooth surface. 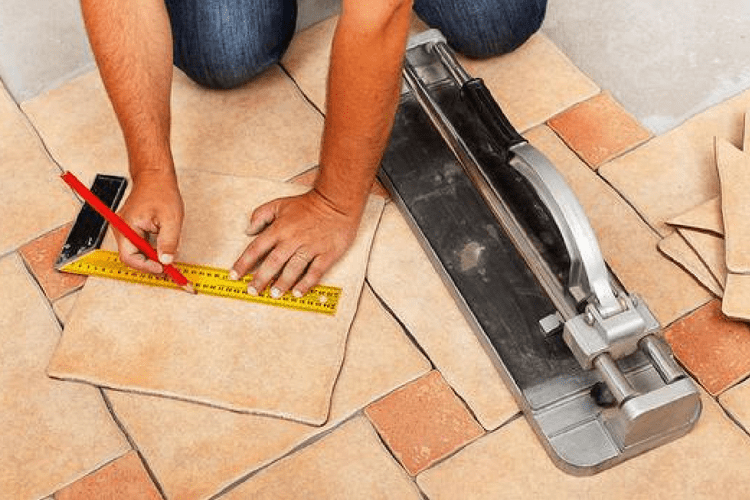 Laying the tile requires trowels, thin set, spacers, grout and, of course, your tile. You will also need a tile cutter for those corners and odd spaces. Laying tile has several steps, but none is more important than mixing the thinset or “mud” to the right consistency and then spreading it appropriately. You will need to spread the mud at the right height so that the tiles are even, and you will need to leave grooves at a 45-degree angle to help the tile adhere to the mud. Once you have the tile laid, you will need to clean the surface and then add the grouting, a painstaking job. If you feel capable of this task, you will add beauty and value to your kitchen without paying the high labor costs that a contractor will charge. Nasty countertops wreck the look of any kitchen. They may be stained, cracked, or outdated. If you don’t have the money to invest in replacements, try refinishing them for a few hundred bucks. Sometimes, simply giving the countertops a coat of paint works wonders, but you cannot just slap it on. You will have to prepare the surface first by cleaning it thoroughly and filling in the cracks with epoxy putty. A coat of primer is a necessity before you apply the top coat or coats. If you want to create the look of granite, you will need to apply several different shades of paint using a sponge, which requires patience and some artistic skill. If that process sounds too complicated, do not despair! You can invest in some “peel and stick sheets” that simply go over your old countertops, a process beginners can handle as well. Sometimes, a little cover-up is all you need as long as what’s underneath is basically sound – something all make-up artists worth their salt knows. If your countertops are too far gone to benefit from surface procedures, you should consider replacing them entirely. Although amateur renovators sometimes attempt this procedure, it is harder than it looks. You have to buy the correct size countertops, have them mitered by an expert, and then make certain you get them level. An expert installation is well worth the approximately $3000 that having countertops installed costs. If you are choosing a higher-end material, such as granite, then an expert hand is even more important. You can easily ruin a long slab of granite due to inexperience. On the bright side, new countertops can instantly make your kitchen a more attractive room. We’ve developed a buying guide for Granite Countertops to help you chose the color and thickness. 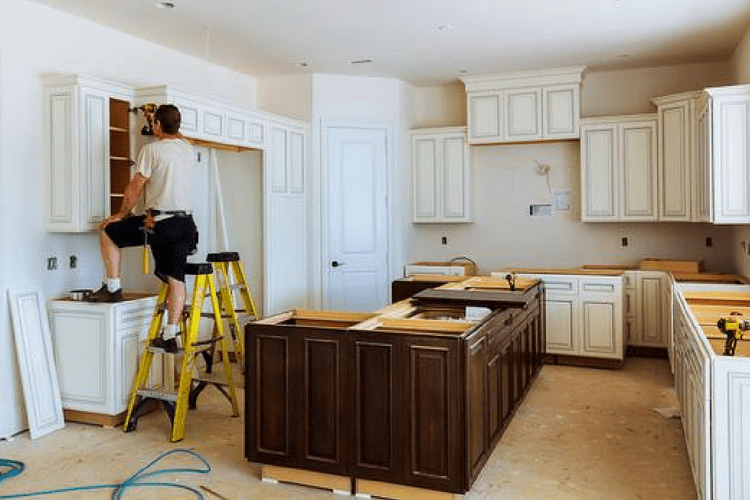 Installing new cabinets and rewiring the kitchen outlets as a result really calls for hiring a contractor, unless you have a friendly member of that profession among your close friends. Quality cabinets cost a pretty penny, so you want them installed correctly. An amateur will find it difficult to make them level and also anchor them securely, often leading to a case of sagging cabinets and destroyed drywall. Your kitchen will probably need rewiring when you install these cabinets. New under-cabinet lighting and fans may require new outlets. Also, if your kitchen is older, the wiring may not be up to code and need to be completely redone. In this instance, a DIY job may end up costing you more than the contractor. You could end up visiting the emergency room after getting your wires crossed. Real estate experts will tell you that remodeling the kitchen adds resale value to your home. So if you are planning to sell at some point in the future, keeping the kitchen looking good is essential. If you plan to stay put, a great-looking kitchen adds value to your home life. Not sure if you should DIY or hire an expert? Click here to learn what factors to consider. Are you renovating your kitchen? Tell us your kitchen renovation project in the comments!